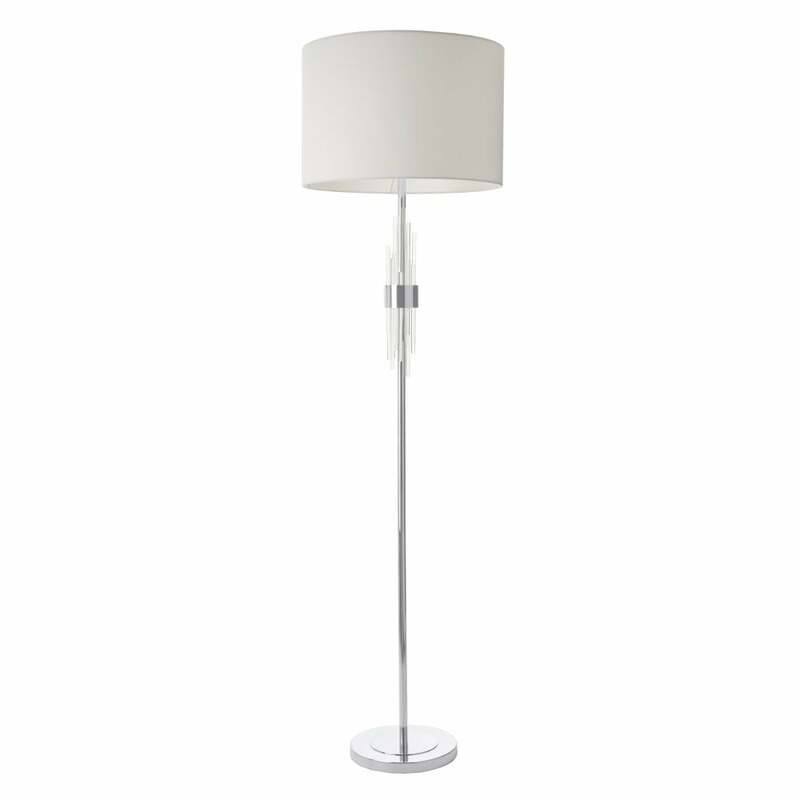 Create a luxurious home environment with the Mildan Floor Lamp by RV Astley. Composed of a long, elegant stem and opal shade, the brushed nickel finish will add a glamorous touch to any interior scheme. Intricate detailing creates an unexpected element to this classic floor lamp. Graduated crystal rods are encased within a nickel band for a designer finish. Style within a minimal and contemporary space to let the lamp shine. Make an enquiry for more information.